This week we speak to Pixel Pitch juror Louise Brown, Multiplatform Commissioning Lead at Channel 4. 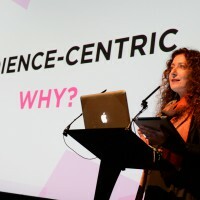 She argues that transmedia projects that combine imaginative flair with commercial viability can engage audiences – and move them – in ways traditional mainstream media cannot. Louise Brown: I’ll be looking for great stories expressed through multiple platforms that tap into existing audience needs and behaviours with imagination and style. I want to be surprised by an idea or approach to a topic or audience but satisfied that there will be wide appeal, that the idea will be commercially viable. 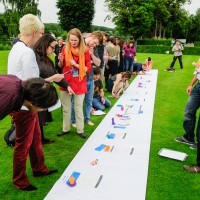 I believe transmedia projects have the ability to be the most authentic and affecting of media experiences so ideally would be moved and inspired as well!PttP: What particular expertise and experience do you bring to The Pixel Pitch Jury? LB: I’ve been working in digital media for more than 15 years, starting out in multimedia reference publishing and website reviewing, moving on to the first newspaper and magazine websites, then major search engines and portals before landing at Channel 4 nearly eight years ago. I’ve headed up the multiplatform commissioning team now for four years. Over my career I’ve been responsible for launching and developing sites, apps, video-on-demand, games, search engines and social networks that have been enormous successes and spectacular failures and everywhere in between – so I have a lot of experience and insight to base decisions on. PttP: How does Channel 4’s public service remit influence your approach to multiplatform and transmedia work? What are the implications of this for producers? LB: Part of our public service remit is to innovate for audiences, so multiplatform is front and centre in our public service output. More widely, Channel 4 as an organisation wants to entertain and inspire, bring new and alternative angles, topics and voices to the mainstream that wouldn’t be covered by either the BBC or other mainstream media. Digital media affords great opportunities for finding and sharing new voices but more importantly, entering into dialogue with the audience. In order to ensure we maintain our impact in the UK, especially with young people, we need to ensure we are ahead of the game in terms of how we approach all our output, whether it’s in terms of innovative advertising or new ways for people to interact with broadcast output. PttP: Can you share some thoughts about The Pixel Market and the prizes on offer there? What is the significance of events like these for transmedia producers? 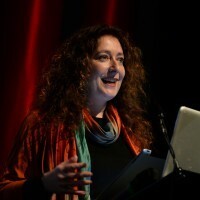 LB: As transmedia thinking, techniques and technologies are constantly evolving, it can be hard even for great ideas to get traction with current commissioning and mass media revenue models. I hope the prizes at The Pixel Market will enable the hottest ideas to go one step further towards becoming reality. Buy your ticket to The Cross-Media Forum here!